Our tax lawyers know that every small business entrepreneur dreads an IRS tax audit, but it can be especially painful for cannabis dispensaries. That’s because, in addition to all of the tax problems that arise in every business, such as proper depreciation of equipment, substantiation of expenses for travel and entertainment and treatment of workers as employees or independent contractors, marijuana dispensaries are conducting a business which is illegal under federal law. This is true even though the sale of medical marijuana is legal (as of July 1, 2015) in 23 states, and the District of Columbia. The key tax problem for cannabis dispensaries that are legal under state law is Internal Revenue Code Section 280E. That’s the piece of the federal tax law which prevents legitimate marijuana businesses from writing off most “normal’ business deductions, and creates a very high effective tax rate. Section 280E was enacted by Congress in direct response to a case in the United States Tax Court that allowed a taxpayer to deduct expenses involved in selling amphetamines, cocaine, and marijuana; however the case, and the law predate the widespread legalization of marijuana by many states. Section 280E is so short (for the tax law anyway) that is worth quoting. Unfortunately, cannabis is a Schedule I controlled substance. Although the text of the tax law seems to deny ANY deductions, because Congress was concerned that denying deductions for Cost of Goods Sold (COGS) to a marijuana dispensary might be unconstitutional, as a tax on gross receipts, it allowed cannabis businesses (and indeed any business engaged in selling controlled substances) to continue to deduct that portion of its expenses which are allocable to COGS. Thus one method of maximizing deductions is to allocate as much as possible to COGS. Click here to read Dennis Brager’s article published in Marijuana Venture discussing some of the pushback from the IRS on this issue. Another vulnerability that cannabis dispensaries have is related to the cash nature of their businesses. Because it is almost impossible for cannabis dispensaries to maintain a bank account they are subject to claims by the IRS that not all of their income is being reported. In cases where the IRS alleges substantial non-reporting of income, marijuana dispensaries and their owners are exposed to both criminal and civil tax penalties, including the 75 percent civil tax fraud penalty. Our tax lawyers have decades of experience in defending against these types of allegations by the IRS. These tax problems of medical marijuana dispensaries are not limited to tax audits by the IRS. Our tax dispute attorneys have seen sales tax audits by the California State Board of Equalization (SBE or BOE) claiming that the medical marijuana dispensaries did not report all of their income for California Sales Tax purposes. Without good records the BOE can be expected to make wild guesses about the amount of income based upon such flimsy evidence as the number of people walking through the door. Nevertheless, when the BOE makes a determination, it is up to the cannabis dispensary to prove that the BOE’s estimate is wrong. Worse yet the owners of the marijuana dispensary can become personal liable for any unpaid sales taxes. 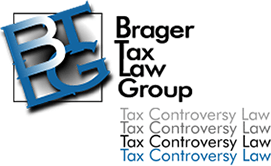 Our tax lawyers have had years of experience helping all types of business fight these types of sales tax problems. Conversely, because medical marijuana dispensaries don’t have a bank account to write checks on it becomes difficult to prove that expenses have been paid, even if they are of a type which can be deducted. Marijuana businesses are also not immune from traditional payroll tax problems such as whether workers are employees or independent contractors. This is another area where if the wrong decision is made the owners and operators of marijuana dispensaries may become personally liable for payroll taxes which the IRS claims should have been deducted from payments to workers, and turned over to the IRS. On top of that they are subject to possible penalties for failure to deposit payroll taxes electronically. The IRS has issued guidelines which ease this tax problem, but the guidelines still require cannabis businesses to make an effort to pay payroll taxes electronically. If your marijuana business is contacted by the IRS or the SBE, call our office for a confidential consultation.